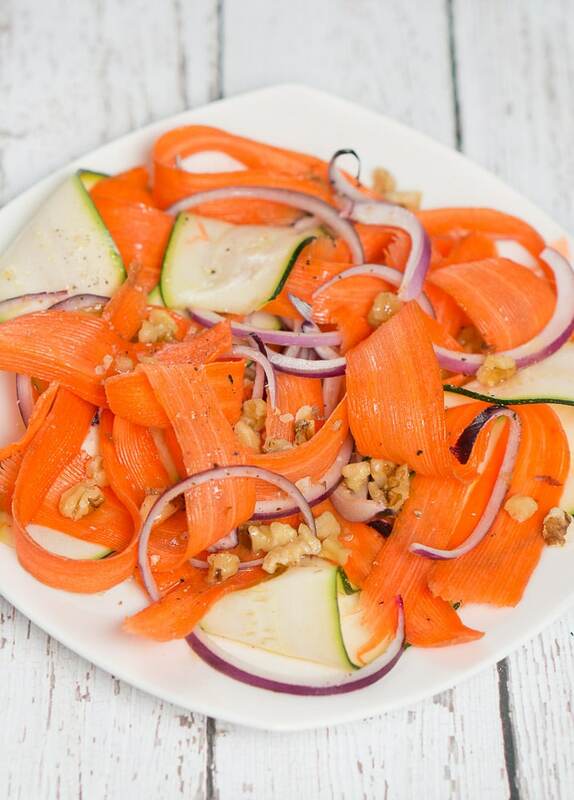 Shaved carrots and zucchini salad topped with red onion, walnuts, and honey lemon vinaigrette. 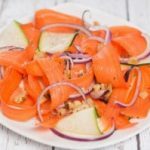 This carrots and zucchini salad is a great side dish to any meal, it is easy to make and simply delicious! 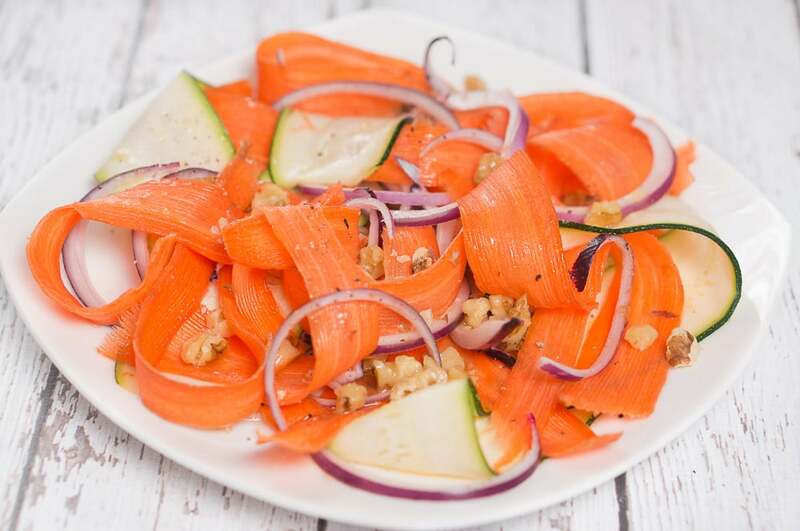 I love fresh raw carrots and carrot salads – they have a nice sweetness, crunch and are so nutritious. Carrots are rich in beta-carotene, which is converted into vitamin A in the liver. Vitamin A is necessary and helps improve vision. 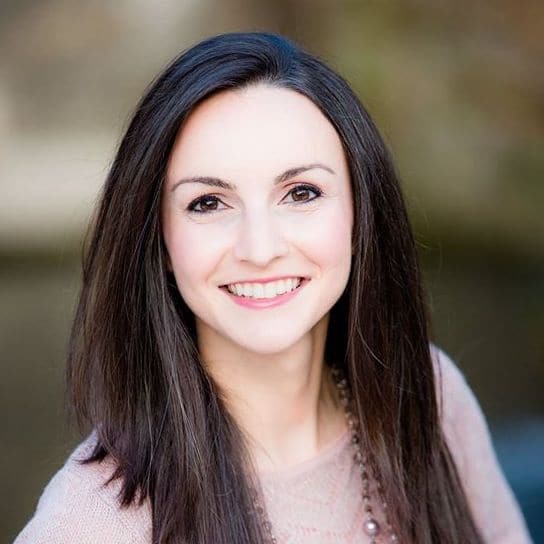 High levels of beta-carotene also act as an antioxidant to cell damage done to the body through regular metabolism and help slow down the aging of cells and promote healthier skin. With zucchini now in season, I decided to experiment and added shaved zucchini to this salad, and it turned out amazing! This is a lovely side dish to grilled chicken, steak or fish. Using really good extra virgin olive oil will give you the best results. It takes only about 10 minutes to make. 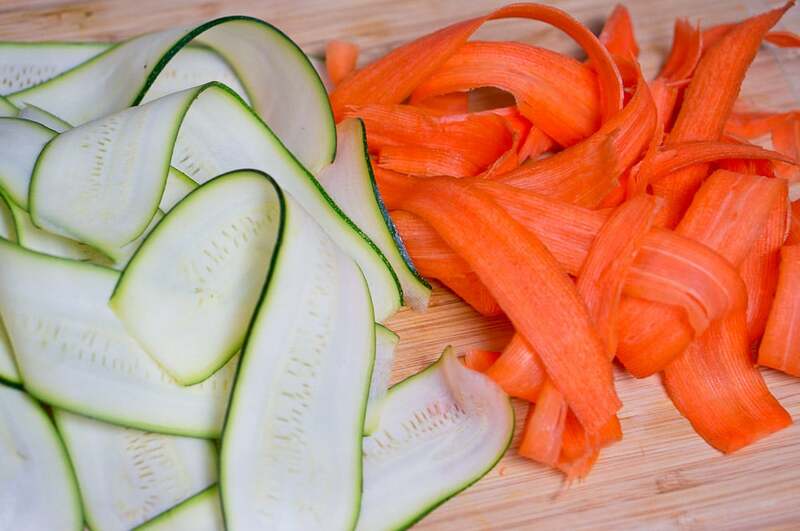 Shave carrots and zucchini into long thin strips, using vegetable peeler or mandoline. I prefer using the vegetable peeler for the carrots because they are long and thin, and the mandoline for the zucchini. Add thinly sliced red onion to the vegetables. 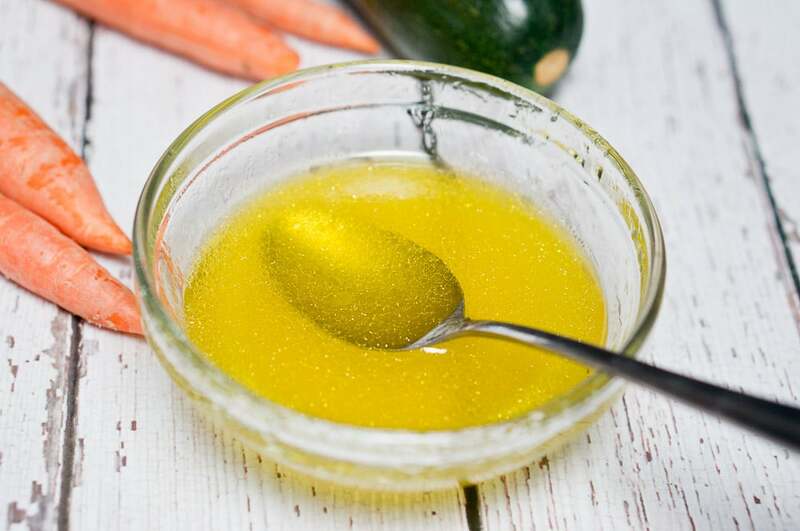 In a small bowl, combine olive oil, lemon juice, honey, salt, and pepper. Stir to combine and drizzle over the vegetables. Toss to coat. Garnish with walnuts and parsley. 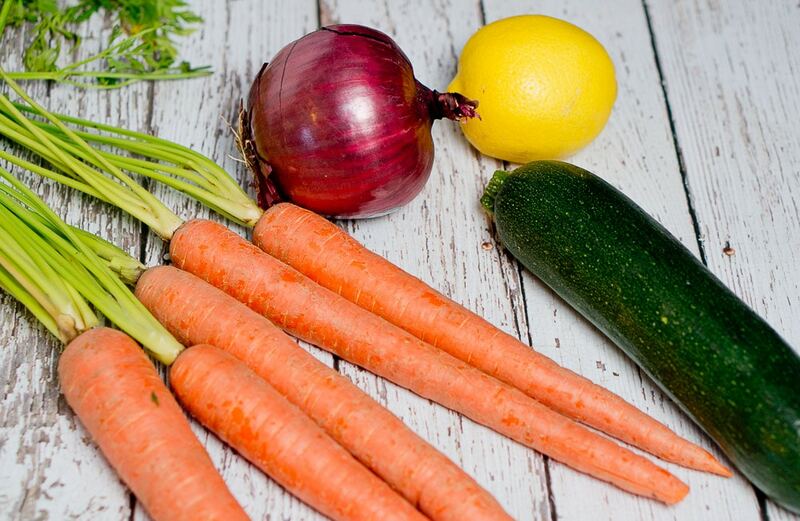 Shave carrots and zucchini into long thin strips, using vegetable peeler or mandoline. Add thinly sliced red onion to vegetables. How the detailed pictures! This recipe sounds perfect for my diet!